Enter to win $2,500 when you finance/refinance your Mortgage or Home Equity loan in April, May or June! Shell Federal Credit Union is federally insured by the National Credit Union Administration (NCUA) and is an Equal Opportunity Lender. Anyone who lives, works, worships, attends school or regularly conducts business in Harris County, TX can bank with Shell Federal Credit Union once a $5 savings account is established. Mortgage loan approvals are based on underwriting criteria and this promotion is not a commitment to lend. Shell FCU does not offer manufactured home loans, condo loans or construction loans. Existing Shell Federal Credit Union loans are not eligible for refinance. Most Home Equities have no fees or out-of-pocket expenses, but see a Loan Officer for details on your specific loan. Financing not to exceed 80% Loan to Value (LTV) less any existing liens or loans. Allow a minimum of two weeks for Home Equity loan processing. Consult your tax adviser about the deductibility of interest. By law Home Equity loans are only available on primary residences and only one Home Equity loan can be financed per 12-month period. This offer cannot be combined with any other offer and Shell Federal Credit Union reserves the right to discontinue promotions without notice at any time for any reason. 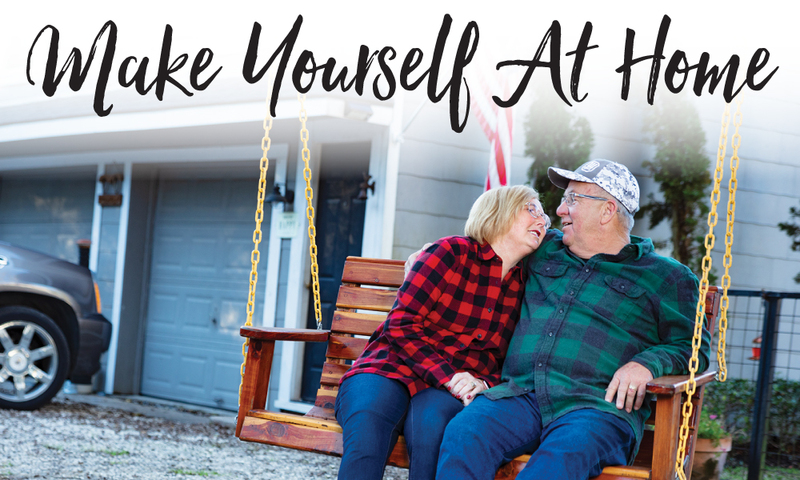 Mortgages and Home Equity Loans closed April 1 through June 30, 2019 will be entered to win $2,500. Shell FCU will conduct a drawing of all the qualified entries by July 15, 2019 and contact the winner by phone. Members must be in good standing at the time of the drawing to qualify and employees are not eligible to participate. A 1099 will be issued to the winner in January 2020. No Purchase Necessary. Anyone can enter the drawings by sending a 3x5 postcard by June 30, 2019 with their name, address and phone number to: Shell FCU – Make Yourself At Home, P.O. Box 578, Deer Park, TX 77536. One postcard per individual and odds of winning are based on number of entries. Shell FCU © 2019. All rights reserved. The external website you are linking to is not operated by Shell Federal Credit Union. We are not responsible for any content or information on this external website. Shell Federal Credit Union is not responsible for, nor do we represent you or the external website if you enter into any agreements. Privacy and security policies may differ between our website and this external site. Your User ID will be your current User ID and your initial password will be the last five digits of your Social Security Number. Log into Online Banking prior to utilizing the new Mobile App. This will automatically enroll you in Mobile Banking via the Shell FCU App. Apple will require an update to the Shell FCU App. Android will require you to completely download the new Shell FCU App. If you need assistance, call (713) 844-1100. Thank you for the opportunity to serve you!